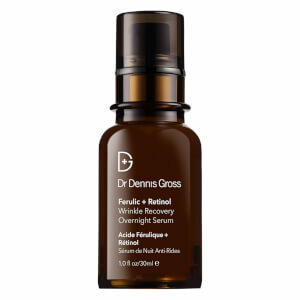 Restore natural radiance to the visage with the Dr Dennis Gross Alpha Beta Peel Extra Strength Formula; 30 daily peel treatments developed and used in practice by the founder of the brand, Dr Dennis Gross. The patented, two-step system is effortless to use, which is ideal for experiencing a professional peel from home. The first step is packed with potent yet gentle Alpha and Beta Hydroxyl Acids, which exfoliate and eliminate the layer of dead skin cells, bacteria, makeup and oils from the surface of skin. This not only promotes a healthy and radiant complexion, but helps skin to experience the benefits of other skincare products more easily. 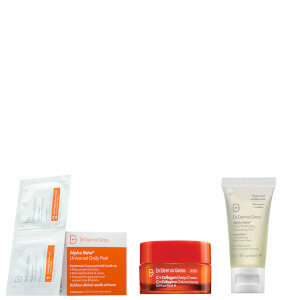 The second step controls the activity of the acids, while delivering anti-aging active to the visage. This helps to keep the complexion calm, comfortable and balanced; perfectly prepped for its skincare regime. 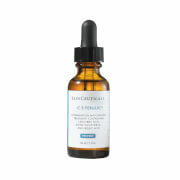 Fine lines, discoloration and enlarged pores are also visibly reduced. The towelettes combine seven acids in total, allowing the Alpha Beta Peel Extra Strength Formula to deliver accelerated results, leaving skin youthful, radiant and visibly more even. Free from parabens and phthalates. Vegan friendly. Cruelty free. Step 1: Water/Aqua/Eau, Alcohol Denat. (SD Alcohol 40-B), Glycolic Acid, Potassium Hydroxide, Hamamelis Virginiana (Witch Hazel) Water, Salicylic Acid, Polysorbate 20, Lactic Acid, Mandelic Acid, Malic Acid, Citric Acid, Salix Alba (Willow) Bark Extract, Menthone Glycerin Acetal, Camellia Sinensis Leaf Extract, Achillea Millefolium Extract, Anthemis Nobilis (Chamomile) Flower Extract, Soy Isoflavones, Copper PCA, Zinc PCA, Lecithin, Disodium EDTA, Alcohol, Polysorbate 80, Fragrance (Parfum), Linalool, Benzyl Salicylate, Benzoic Acid, Phenoxyethanol, Sodium Benzoate . Step 2: Water/Aqua/Eau, Sodium Bicarbonate, Resveratrol, Retinol, Ascorbic Acid, Ubiquinone, Ascorbyl Palmitate, Phospholipids, Retinyl Palmitate, Tocopheryl Acetate, Soy Isoflavones, Achillea Millefolium Extract , Camellia Sinensis Leaf Extract, Leuconostoc/Radish Root Ferment Filtrate, Copper PCA, Sodium PCA, Zinc PCA, Dimethicone, Lecithin, Polysorbate 20, Polysorbate 80, Alcohol, BHT, PEG-30 Stearate, Octoxynol-9, Tetrasodium EDTA, Sorbic Acid, Sodium Benzoate, Phenoxyethanol. Works as described. Does not irritate my sensitive skin. Five stars. Would recommend and reorder. 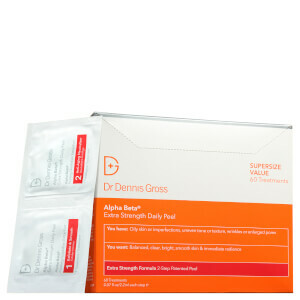 I am impressed at how quickly I saw results.Several people commented on how great my skin looked as wellI use it on my chest as well and it has evened out my skin tone from years of sun damage. I have extremely sensitive, oily skin and would like the benefits of this type of product but most I have tired are too harsh for my skin. After reading about this product, and reading the ingredients, I purchased the small size to see if my skin could tolerate it. 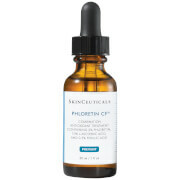 Not only could my skin tolerate it the product works amazingly well. I saw a difference after only one use and now that I've been using it for a week - WOW is all I can say. My 59 year old skin looks smoother, my pores are reduces in size and my skin looks so much better. A smoother surface makes my makeup look much better. 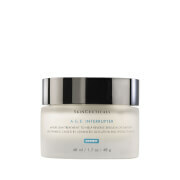 I'd recommend this product to anyone with sensitive skin who wants rejuvenation with the risk of a reaction. Especially anyone with oily but sensitive skin - a hard combo to work with. I received these as a sample and since I have tried them, I have been hooked. After three uses, I could definitely see a difference in my skin. My face glowed and the texture was definitely smoother. I also like how it's already packaged so there is no guess work and love how I can throw in my travel bag and take with me to not miss my beauty routine. Easy! I've been using this for a few weeks now and notice a more even tone to my skin. Did break out initially but it's clearing up fast. Also have noticed an improvement in skin hyper-pigmentation. Got one of these as a sample in an order, and was very pleased with the results. One caveat--the instructions say to apply until the pad feels dry; this takes a pretty long time, and you don't need to wipe very hard. The results are good so far, but I am not using every night. Works well to alternate with other regimens for me. No irritation. Does what it's supposed to do! My skin is sensitive, so I use glycolic products only once or twice a week. When my usual skin care doesn't get rid of the little white bumps that appear, usually on my chin, these pads take care of the problem without irritating my skin, and my skin is once again very smooth. Love this product ! I love the way my skin looks after I've used it ! My skin glows!